Newsletters are important in building your client relationships. They offer an unrivalled way of maintaining client contact and offering guidance that your clients know to be impartial, relevant and timely. With the Retail Distribution Review (RDR) deadline past - and the need to inform your clients of changes to your business, including in many cases the introduction of fees - now has never been a better time for you to consider the benefits a newsletter will bring. 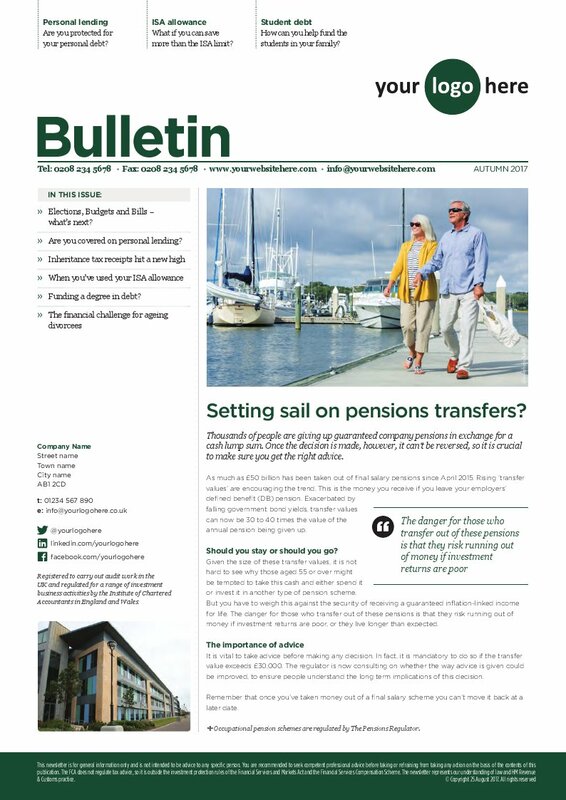 Our newsletters for financial advisers and planners are published quarterly in Spring, Summer, Autumn and Winter containing the latest helpful commercial and personal finance information relevant to your clients. We will add your logo and firm details prominently to the cover of every edition of the newsletter you choose to take. 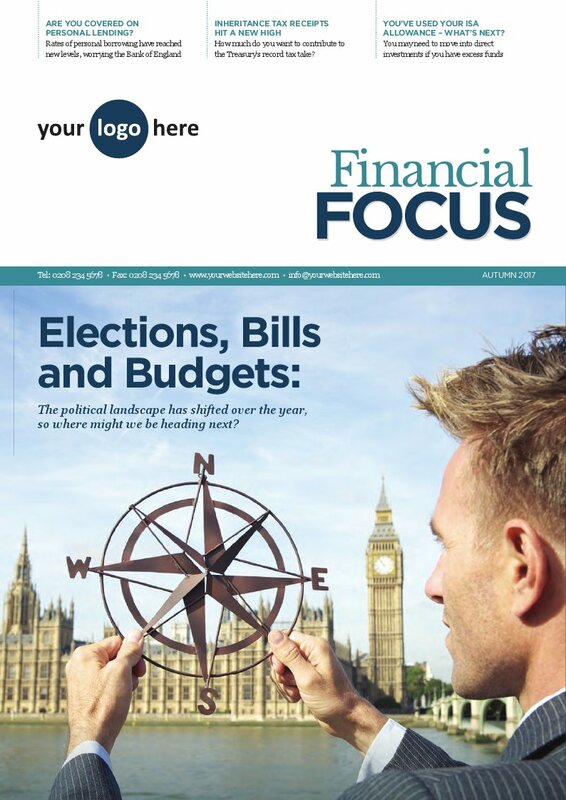 Newsletters for financial advisers, financial planners and wealth managers are available in four attractive designs and a choice of digital and print formats - our Tailored Plus, Tailored and Essential service levels allow you to find the most suitable newsletter to fit your budget, your content marketing and your client communication needs. Just ask us for details. "We are delighted with our recently issued newsletter provided by Taxbriefs and the whole process from our initial enquiry through to receipt of the finished product was very smooth. 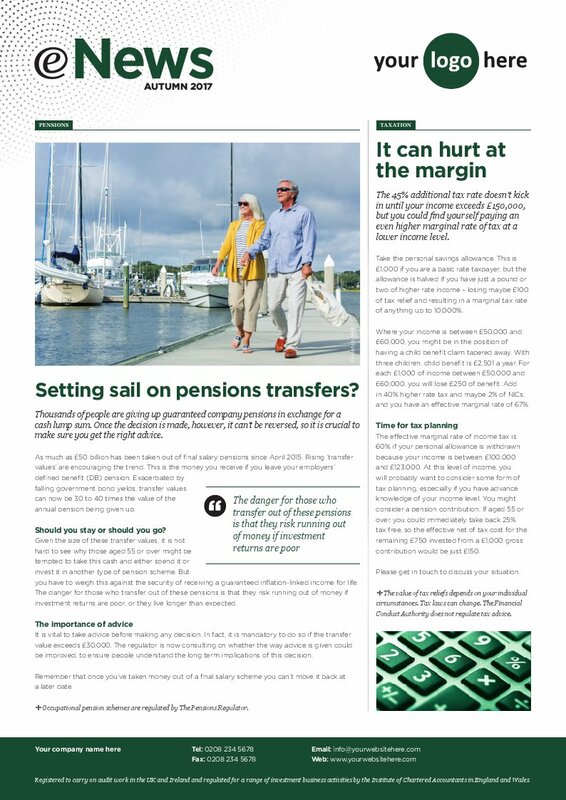 Taxbriefs newly designed newsletter and additional content items ensure that we keep in touch with our clients on a regular basis, a key benefit is the ability to personalise some of the newsletter content which has received very positive feedback from our client base." 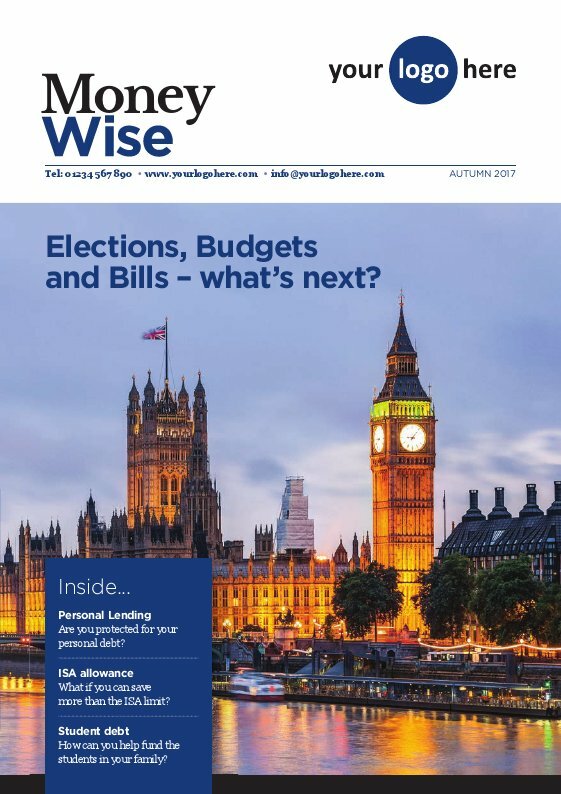 A look ahead to 2019/20: Planning for the new tax year, both by making the most of your 2018/19 allowances, and understanding what changes happen on 6 April. Infrastructure funds: We look at the incresingly popular option of infrastrucutre funds - what they are, what they can offer investors and what the risks are. How much should I save? : What do pension contributions really add up to come your retirement? How do you tell what percentage of your salary you need to be saving? Universal Credit and income protection: As the new benefits system comes into effect, we look at how you can plan for serious illness or other long-tmer loss of income. The Brexit effect: One truth of Brexit is that no one knows what to expect. So how do you manage your own behaviour as an investor in such uncertain times? Traditional design, in A4 4-page format. Contemporary designed magazine, in 8-page A5 format. Premium, corporate style magazine, in A4 8-page format.